This human world is currently a toxic tide pool in the ocean of universal love. And in order for a healthy transformation out of these toxins, there’s going to have to be a “sea-level” change . . . a radical departure from the current method of power . . . the tides will have to lift everyone. But such a radical difference must be accommodated and respected by the powers involved. When a “sea-level” change is required, the powers must be on board the boats. On the other hand, if the powers work to crush this change, and want to accommodate nothing, then you have what's happening on Earth today. This is the style of those who are individually prospering under a status quo, and fearing the radical changes that can assist the masses. 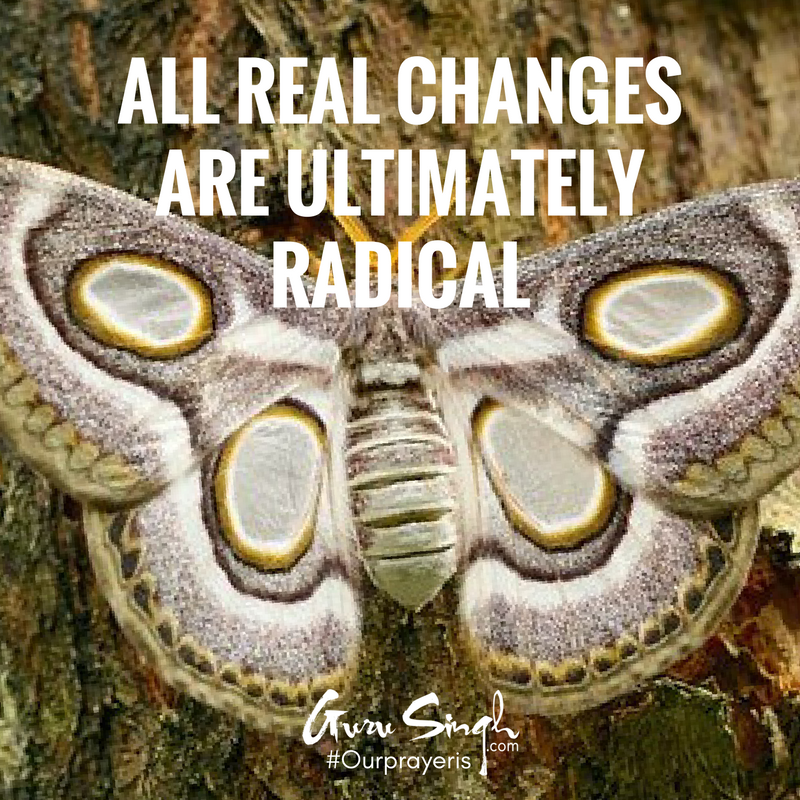 All real changes are ultimately radical. To maintain their ways that are prospering only themselves, and are destroying the rest of this world’s systems of life, they rely on a fear that's accommodating nothing except their illusion. Nothing ever grows in such an atmosphere of stagnation, maintained by sheer force. Growth and transformation are always entering the unknown, and the unknown is always felt as radical. This is the reason intimidation is being used as a social weapon, and even education is currently being tweaked to support this irony and clearly is not educating, but withholding growth from consciousness. In such an atmosphere, bigotry will prosper; might will have all the rights, and those who are the most aggressive will fear the most. But at the root of any such quandary, where all time is contained within a single moment, and all space is contained within a single point -- all that has ever been is still right here. It’s an echo to take hold of, to be used to resurrect the powers of ancient wisdom . . . the wisdom of all the great masters and prophets. It can create a present moment of “saving grace” from the best moments that have ever been . . . the ones still echoing and reverberating in the waves of universal time. Our prayer is that you’re listening to these echoes; that you help them sing in this world to become the way all humans lift life on the tides, and out of the toxic pools of fear.